While her dad gears up for the vice presidential debate tonight, Charlotte Pence may very well be taking vigorous notes for a future book. The daughter of Republican vice presidential nominee Mike Pence is an author. And if the saying is really true — that we write about what we know — we can expect a thinly veiled doozy of a tell-all at some point from the middle Pence sibling. But what has Charlotte Pence written? Pence is a recent college grad who studied film production with a double major in English and Digital Cinema. But while film may have been a focus, she is also an accomplished freelance writer. One of her biggest contributions was a blog/column she wrote for DePaul University while studying abroad in Oxford, England, with the running title "An American at Oxford." The five posts available on the The DePaulia's website focus on her time living it up across the pond. She talks about finding a running path and learning to navigate the pubs, and the posts show off a clever personality who isn't afraid to confess her shortcomings. Pence has written about a variety of topics, not just confessionals about her trips to British pubs. She has also discussed her faith, once publishing an article called "Believing in God and Other 21st Century Burdens." As it turns out, Pence is talented at a number of different types of writing, as well. She is also something of a poet. 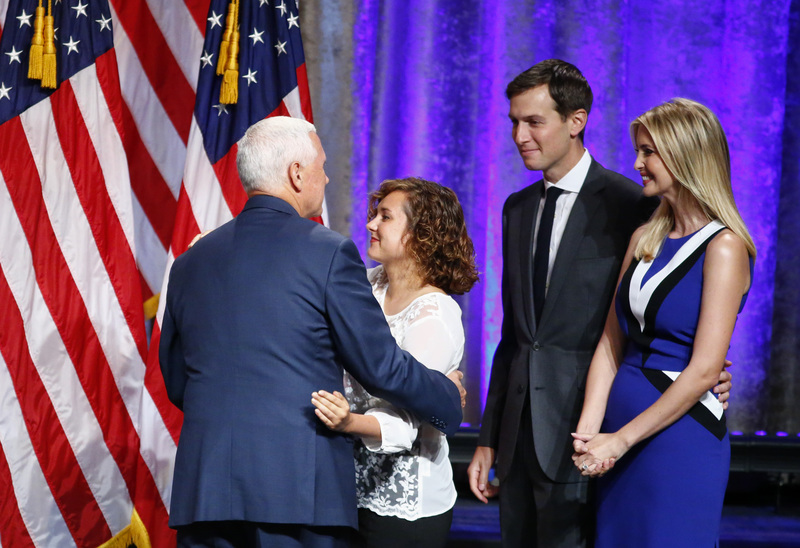 In 2015, Pence published several poems on a website called Seven Voices, an Oxford blog that hosts seven resident "voices" from the student body. She also published several pieces of fiction for The ISIS magazine, an independent student magazine in the U.K. that has nothing to do with the militant extremist group. Lately, Pence has put everything on pause to hit the campaign trail and advocate for her dad. But while helping her father with his bid to become the next VP is admirable, let's just hope she doesn't let her ink dry up.